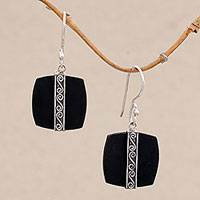 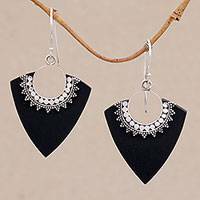 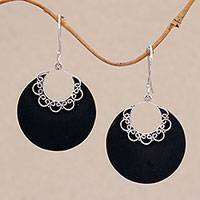 Sterling Silver and Lava Stone Spiral Motif Dangle Earrings, "Temple Bands"
Square pieces of lava stone with rounded sides adorn the ears on hooks. 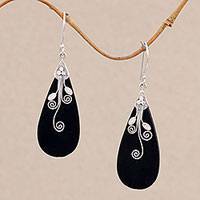 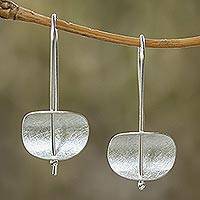 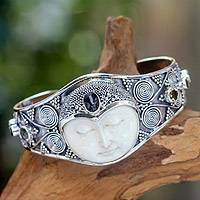 Bali's Rupadana designs this pair of dangle earrings, accenting the stones with sterling silver spiral motifs. 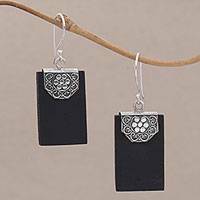 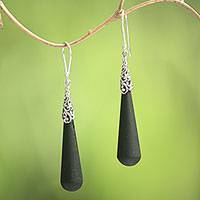 Lava Stone and Sterling Silver Floral Earrings from Bali, "Pura Petals"